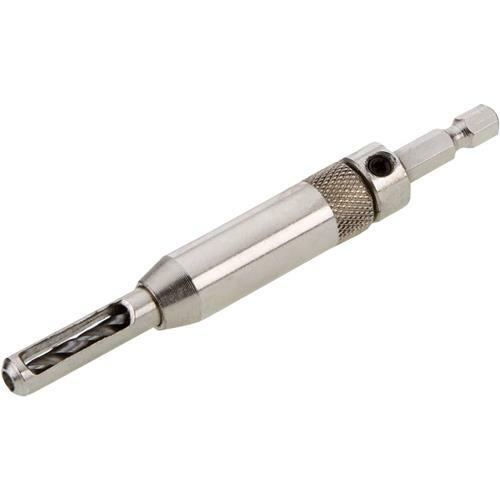 This self-centering hinge bit is an ideal drill accessory for hinge or hardware installation. Size is 9/64" and 1/4" hex shaft fits all drills. Screw compatibility for #8 & #10. Self centering with spring-loaded bits. For use mainly with the T26984 DoorMortiseKit.